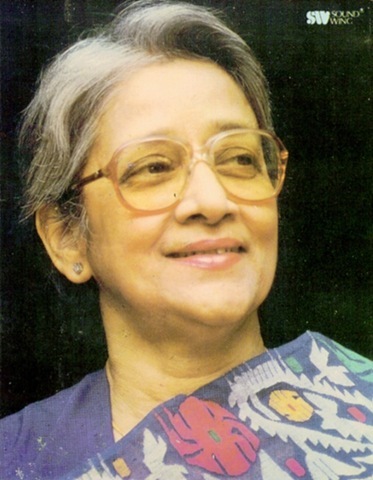 With the passing of Suchitra Mitra, an era in Rabindrasangeet comes to an end. Just the other day, I was listening to some Rabindrasangeet by Shaan, a very talented singer who has really hit the jackpot in the Bollywood music circles, and whose songs I enjoy. 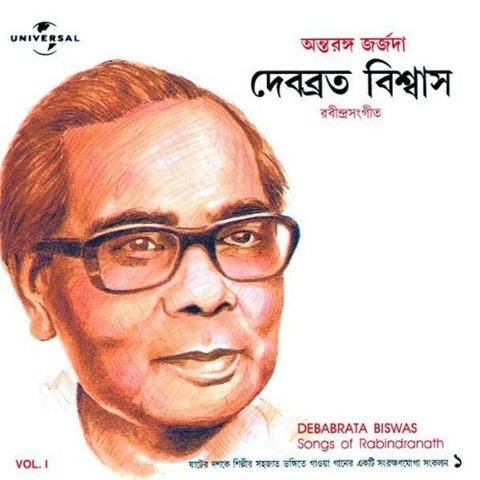 But honestly, I felt that his voice fell quite short of the kind of timber and bass I have personally started to associate with Rabindrasangeet. (I hope to write a review of his anthology of songs some time soon, so no more digression on this aspect for now). I was longing for the haunting melody of Suchitra Mitra’s voice as I heard Shaan croon out pimped out versions of Praan chaay, chokkhu na chaay, Jete jete ekela pothe, etc. A self-confessed idolizer of Shantidev Ghosh, Mitra’s voice was perfect for the rendition of Tagore’s theatrical songs. The quality of her voice was such that the people who were lucky enough to see her perform in Tagore’s Balmiki Protibha have admitted that there are fewer things which are more mesmerizing than that. Her life was an intrigue. She was born prematurely, in a train: in a somewhat filmy manner. Her father, an advocate, was also an author, and therefore, her mentoring in the way of the arts started early on in her childhood. Her fascination with Tagore’s music also started when she was in school. She had no previous, formal training in music till she joined Rabindra Bharati when she was 17 years old. However, her idol, Tagore, passed away just a few weeks before she joined, and she never realized her dream of meeting the legend in person. Contemporaries have speculated that this poetic dissatisfaction may have driven her to her perfect renditions of the masterpieces of the Nobel Laureate poet. Her life was also not free from the shadow of controversies. She had a torrid personal life, something which comes free with celebrity status, one could argue. 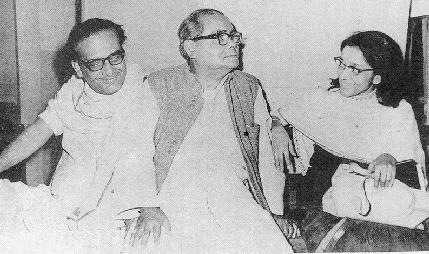 She also attracted a lot of flak from the media when she rejected an anthology of Tagore songs by none other than Debabrata Biswas when she was Chairing the censor board of ViswaBharati (Tagore’s works were still copyrighted and the VB nod was needed before any piece of music went out into the market). While speculations were rife about professional jealousy, Mitra herself maintained that she was a big admirer of George-da’s (As DB was known as fondly) work, especially Amaro porano jaha chay which he immortalized in his leisurely manner of masterful rendition. In the last decade of her life, she had become a bit of a recluse (much like her namesake, the other Suchitra, Sen, the major star of Bengali movies of the yesteryears). And ill health had prevented her from pursuing music in more public platforms. However, her contribution in revolutionizing Tagore’s songs remains undebated. Tags: PostADay2011, Rabindranath Tagore, Rabindrasangeet, Suchitra Mitra. Bookmark the permalink. Previous post ← HAPPY NEW YEAR 2011!